As you plan your dream day, you’ll have a lot of questions. 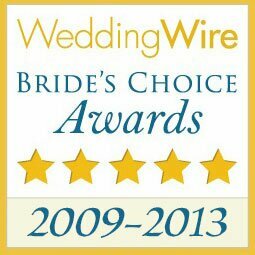 Boston’s Wedding Entertainment has helped couples just like you through thousands of weddings, each one unique in its own special way: We can help you with yours, too. Here are some of the questions our DJs have answered during our more than 20 years experience planning wedding entertainment. Of course, if you don’t see your question here, contact us for your free consultation to get helpful answers. How often can I call you with questions or to inform you about changes in my reception? ANYTIME. Call us 24 hours a day. You might reach our voicemail, so just leave a message. 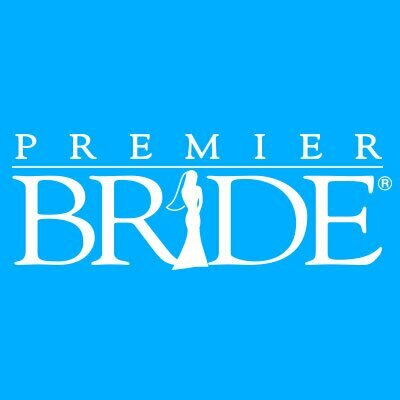 In most cases, we’ll get back to you right away because it’s our business—and our passion—to solve your wedding entertainment challenges. We strive to develop a relationship with you to better understand your needs. This type of personalized service guarantees fabulous results. When will we have our pre-reception meeting, and what will we do at it? About two-four weeks before to your reception, we’ll meet in person to review your final plan for your dream wedding. We’ll get valuable information from you on how you want things to go, and suggest or recommend appropriate song options. We’ll review the order and timing of key events. We’ll double-check all of your formal introductions, review the proper pronunciation of names, and finalize other critical details. What time will you arrive at my reception? We arrive at your reception about one hour before your guests. We’ll set up, do our sound checks, and meticulously review the plan for your special day. If you have any last-minute changes, we’ll be sure to incorporate them seamlessly into our detailed minute-by-minute plan. Do I pay for the hour that you’re there prior to my reception? NO. You pay us only from when your reception starts to when it ends. Do you come to my reception formally attired? YES. We know your reception is a formal day. We’ll arrive formally attired, ahead of time, unless you instruct us otherwise. Am I guaranteed two DJs at my reception? YES. You will always have the personal attention of two professionally trained and experienced DJs at your wedding. Boston’s Wedding Entertainment isn’t a brokerage company: You won’t get a second rate disc jockey. What happens if one of you is sick? NO PROBLEM. In almost 20 years of providing Boston’s best wedding entertainment we have never missed a wedding reception we’ve contracted to produce. That’s the advantage of having the owners, Gary and Joe, at your reception. You’ll always have a qualified Master of Ceremony and the finest Disc Jockey at your service. Do you bring back up equipment? YES. In addition to meticulously maintaining the state-of-the-art equipment we bring to your wedding, our wedding entertainment professionals also bring a backup amplifier, speakers and CD players. Do you provide cordless microphones for the best man’s toast and other events at our reception? YES. Our audio equipment is top of the line professional gear, including several cordless microphones we make available to your guests—as always, directed by you. Do you play requests for my guests? YES. We honor all requests from your guests. Boston’s Wedding Entertainment has one of New England’s finest music libraries, featuring music from the 40’s through the today’s current hits. Our library is about 21,000 titles and always growing. I have a special rendition of a song. Will you play it? YES. Our primary goal is for you and your guests to be happy. We’ll work with you every step of the way to make happiness happen. Do you dress up in chicken suits and give away plastic guitars? NO. You can find plenty of wedding entertainment providers who dress in embarrassing outfits or perform goofy skits. If you want professional DJs, hire Boston’s Wedding Entertainment. We make sure YOU’RE the center of attention–not us. After all, this is your wedding… not a game show. Are there any banners or advertisement of your company on your equipment? NO. Your wedding is about you. We never display any obtrusive or flashy banners to draw attention away from the bride & groom—and the great music we play for your guests. Do you offer ceremony music as well as reception music? YES. About 15% of the receptions we produce require ceremony music as well as reception music. If your cocktail hour is outside of the main reception area, Boston’s Wedding Entertainment will provide a second sound system for that venue. How will you help coordinate key events at my reception? REST ASSURED. From experience, we know that every wedding reception is different. At your pre-reception meeting we’ll make some suggestions on how to make your reception run smoothly. We’ll work with you to make sure every entertainment-related milestone is carefully coordinated—and if you want to change things at the last minute, we’ll smoothly and discreetly coordinate those changes, too. Are there any other hidden fees in your service? What’s a "Crossover" fee? With Boston’s Wedding Entertainment, you’ll never pay any hidden charges such as setup, breakdown or travel fees. Our price is inclusive. A “Crossover” fee is when a reception overlaps from afternoon to evening, such as a reception that runs from 4 PM to 9 PM. When that happens and you’ve booked with another wedding entertainment provider, they often charge a “crossover” fee (because they can’t do two weddings in one day). We never charge a “crossover” fee. Another advantage of booking with Boston’s Wedding Entertainment is that we only book one wedding reception a day: We can stay later, and entertain your guests longer, if you need us to. Everyone at my reception is dancing and having a great time. Will you stay longer (over 4 hours)? YES. Absolutely. This is your special day. And because Boston’s Wedding Entertainment does only one wedding a day, we have that flexibility. We’ll keep playing as long as you want. I attended a reception last spring, the photographer missed some memorable moments. How do you avoid this from happening at our reception? We’ll coordinate with your photographer and videographer to make sure we all know when you’ve planned for key events to happen. For example: It’s time to cut your wedding cake. First, we discreetly inform the wedding couple (or your designated planner). Then, we confirm that the photographer and the videographer are ready. Finally, we announce it to everybody. Smooth, seamless, and professional: Just the way you want it. YES. We’re proud of our record here: We’ve been providing appropriate musical entertainment at commitment ceremonies in Massachusetts, Rhode Island, and New Hampshire since well before “gay marriage” was a political issue. Does your company require a deposit? YES. Like any other disc jockey service we do require a deposit upon signing the contract. The deposit insures you of your particular date. The balance is not due until the day of your reception. Other than weddings, what events do you play?